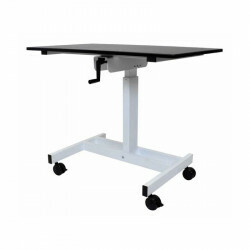 Offex STANDUP-SC40-WB is a single column stand up desk which enables healthy and productive working at a low cost. Maneuverability combined with a spacious surface allows you to keep efficiency at an all time high. 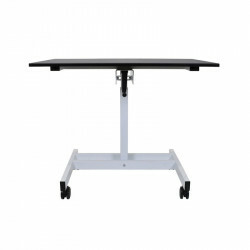 A sturdy, single column conserves space while the central crank enables you to move from sit to stand without moving from the front of your desk. 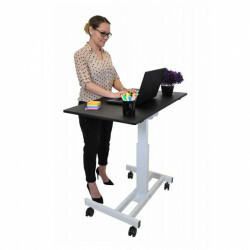 The Single Column Stand Up Desk is the perfect addition to cubicals, classrooms, home offices, and much more, for a healthymeans of catalyzing creativity.